Rice pudding tagine with milk (whole), unrefined golden caster sugar, cardamom, orange zest, orange juice, butter (unsalted), rice, egg white(s) (free range), unrefined golden granulated sugar, rose water, pistachio nuts, apricot(s), honey, rose petals, white caster sugar, egg white(s) (free range). To make this rice pudding tagine for 4 persons you will need 20 mins for preparation and for baking. Step 2In a saute pan, melt the butter and add the rice, stirring and coating well in the butter. Step 4Keep adding the milk until the rice is cooked and creamy. Remove from the heat and add the rose water, mix well. 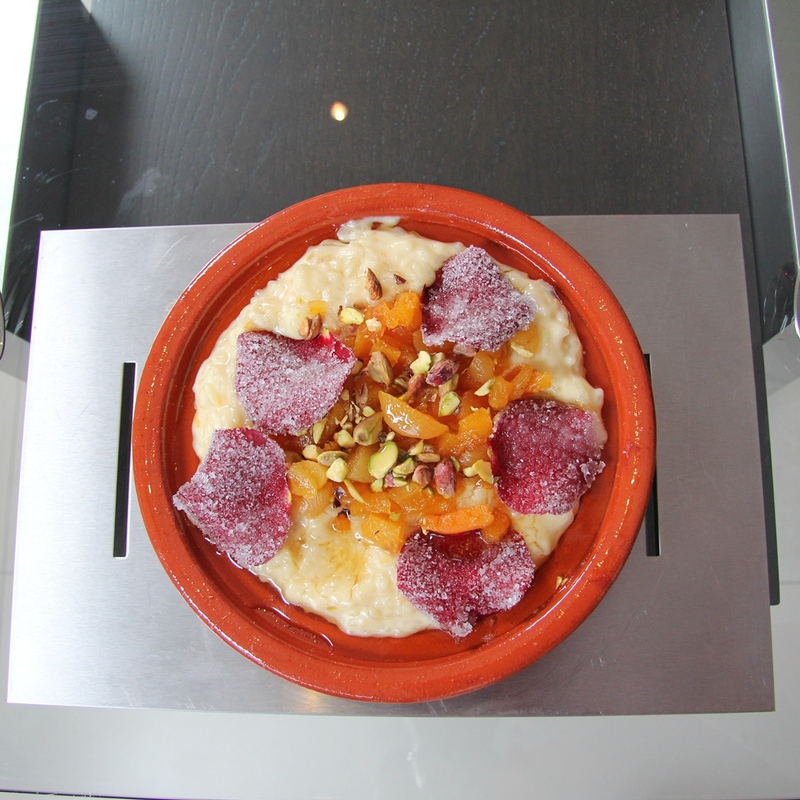 Step 5Serve the rice pudding in a tangine and garnish with pistachio nuts, apricots and drizzle with honey and scatter with crystallised rose petals.